Employees and employers alike have hoops to jump through to end labor contracts. Regulations regarding employee resignation or dismissal are generally set in favor of employees. Employers have some leeway in their ability to dismiss employees who do not perform to standard, but employers are required to document justifiable reasons for dismissal. Employees wishing to terminate their labour contracts can do so by providing their employers with two weeks’ notice of the intent to resign. Company rules stipulating that employees must give more than two weeks’ notice but require an unreasonable notice period are legally invalid. Employees that have been employed under a set terms of agreement for at least one year may notify their employer of resignation at any time. Either party in a labor agreement (employer or employee) can immediately terminate the contract in the event of unresolvable issues, even if there was a set terms of employment. However, the burden of proof is on the employer in the case of a dispute, and employers can only dismiss employees after fulfilling certain requirements. Employers can only dismiss employees if there are objective and reasonable grounds for dismissal that are deemed to be “appropriate” in light of social norms. Additionally, possible grounds for dismissal are valid only if they are outlined in company work rules. Terminating a labor contract by paying out a certain amount of money is not legally recognized unless an amicable settlement is reached between the employer and employee. Due to the difficulty of gauging the validity of dismissal in concrete cases, it is recommended that employers consult a labor lawyer before proceeding. The company must prove that layoffs are unavoidable and necessary to the business. The company must prove that it has taken measures to prevent layoffs such as re-assigning staff and advertising for voluntary opportunities. The company must prove that layoff standards were fair, objective, and reasonable. The company must prove that it held acceptable consultations with workers and labor unions. To help prevent layoffs, the Japanese government offers “Employment Adjustment Subsidies” to companies that temporarily lay off employees as opposed to permanently dismissing them. These subsidies cover two thirds (one half in the case of large enterprises) of the cost of allowances paid for temporary layoffs, subject to the maximum amount of money. While on leave for work related illness or injury or for 30 days after the leave period. While an employee is on maternity leave for six weeks (14 weeks if multiple pregnancies), 8 weeks after childbirth, or for 30 days after the leave period. Dismissal of female employees during pregnancy or within one year of giving birth. Retaliatory dismissal due to employees reporting an illegal act committed by the employer to authorities. Employers are required to give employees 30 days’ notice of intent to dismiss. If the employer wishes to dismiss an employee without notice, then the employer must pay out 30 days wages at the time of dismissal, also known as a “notice allowance”. Business can no longer continue due to natural disaster or other such unavoidable circumstances. Dismissal is unavoidable and at the fault of the employee. An employee commits a crime under the Penal Code, including theft, embezzlement or causing injury. An employee violates work rules or expected standards of behavior, or is a negative influence on any other worker. An employee falsifies his/her resume in a way that influenced the decision to hire him/her. An employee is absent without leave (AWOL) and without good reason for a period of two weeks or more and fails to respond to directives to report for work. An employee is repeatedly late for work, leaves work early, absent without leave, and/or fails to improve promptness despite repeated warnings. When an employer opts to dismiss an employee without legal action, then employer will attempt to compel the employee to resign voluntarily. Forms of bribery, such as topping off severance pay, are also used to coerce voluntary resignation. However, using the practice excessively can be interpreted as a form of dismissal, and court judgements will be issued against employers that use persuasion beyond the limits of allowance and put excessive pressure on the employee, prohibiting a free decision to resign. Japan’s Constitution guarantees freedom of choice in occupation. Thus, a non-compete agreement for a certain period of time after leaving a former employer is only valid if the term, geographical scope, professional field, compensation, and restrictions are reasonable. Embellishment of trade secrets by workers and wrongful acquisition of trade secrets by competing businesses are prohibited by law under the Unfair Competition Prevention Act. Directors of a Kabushiki-Kaisha (joint-stock corporation) are terminated once their office term ends. They may resign at any time at their own discretion; however, if it creates a vacancy, then they may have to continue with their obligations until the vacancy is filled. Directors may be dismissed within a resolution of the General Meeting of Shareholders at any time and for any reason. However, if the directors are dismissed prior to the expiration of their term without justifiable reason, then the company must compensate for any damages caused by the dismissal. Employees are free to resign at any time with or without notice; however, the burden of proof is place on companies who seek dismissal. Due to the legal entanglements that can come up with employee dismissal, some employers opt to coerce employees to resign, especially if there is no professionally or socially acceptable reason for termination of contract. It’s imperative that workers know their rights when it comes to resignation and dismissal procedures so they can protect themselves. It is equally important for companies to understand the nuances of dismissal regulations so they can focus on hiring top talent in order to prevent unnecessary payouts or penalties. Do I have to place advance notice if I wish to resign? Employees are generally required to submit two weeks’ notice to employers in the event they wish to resign. If the employee has worked with the company for at least one year, then resignation can be submitted at any time without notice. What are legitimate grounds for dismissal? Legitimate grounds for dismissal include necessity due to failing profitability of the business; business become inoperable due to natural causes; employee violation of work rules, committing of crimes, lack of punctuality, and lowering of overall team morale. Can I be protected from termination of employment? If employers are unable to produce and document legitimate grounds for dismissal, then employees are protected from unlawful dismissal. Also, female workers during pregnancy or after childbirth are protected from dismissal as well as employees on leave for work related illness or injury. What do I do if I am coerced by my employer to resign? Employees must know their rights in terms of dismissal demand that a formal document be drawn to prove that there are legitimate grounds for dismissal. If the employer continues to insist or the situation escalates, consult a labor lawyer or union rep.
intend to partake while in Japan. As there are several types of work status applicable, you want to make sure that you are applying for eligibility for the correct one. How do I protect my business in the event of needing to dismiss an employee? Employers must ensure there are legal and socially acceptable grounds for dismissal. 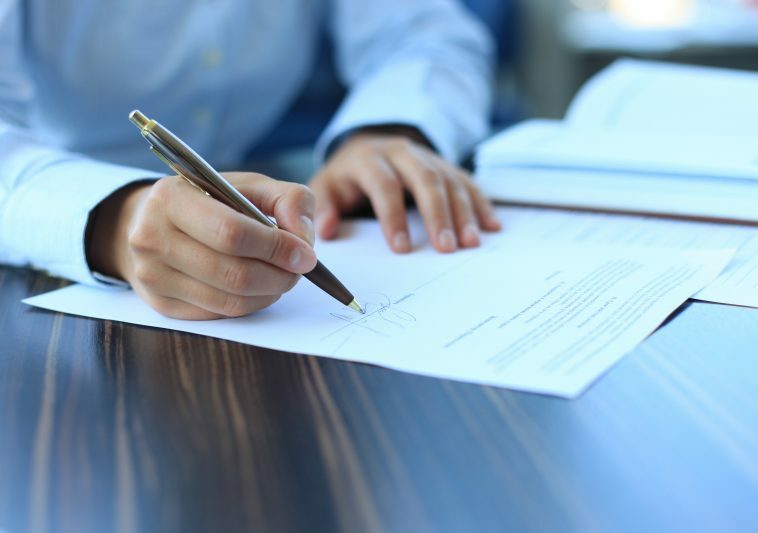 The best way to protect your business is to be able to fulfill the burden of proof needed for a legally valid dismissal, consult a labor lawyer to ensure the burden of proof is met, and be prepared to make any payouts if needed. If non-competes are invalid, how can I protect the trade secrets of my company? Disclosure of trade secrets is prohibited by law. However, non-disclosure agreements allow for an additional layer of protection. What is the best way to handle dismissal of a board member? If the board of directors and company shareholders wish to dismiss a member of the board of directors, then it is best to have a replacement lined up and have a documented, justifiable reason for dismissal.